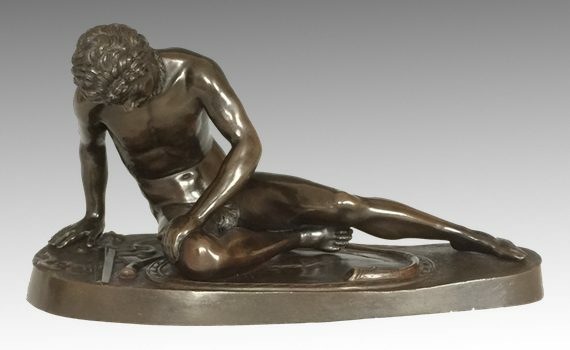 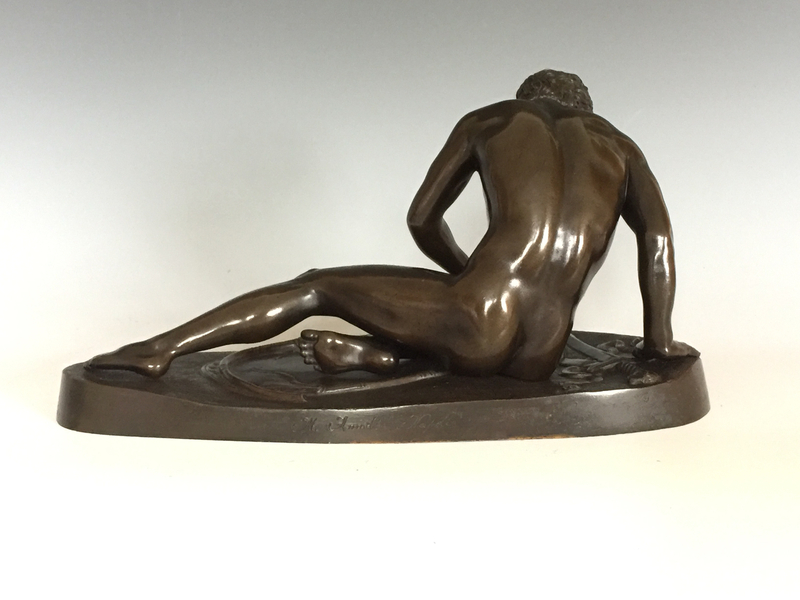 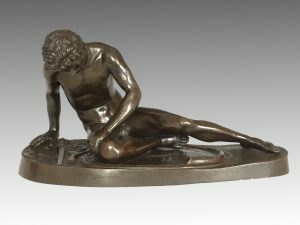 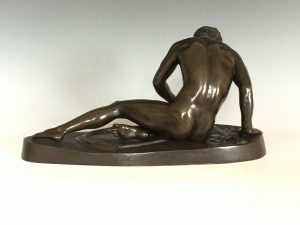 A ‘Grand Tour’ bronze from the second half of the 19th century of ‘The Dying Gaul’, after the antique. 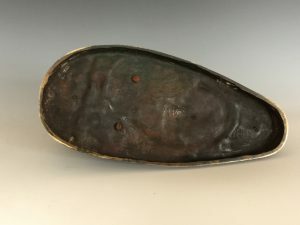 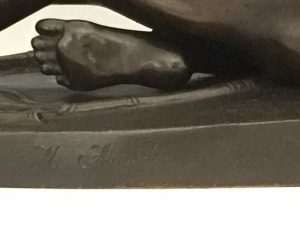 The slumped figure with broken sword to his side, on an integral oval base. Original dark brown patination. Signed to the reverse ‘M Amodio Naples’.